How old were you when you first thought about a career in architecture? "I’ve been interested in art and design since kindergarten." What person most inspires you? "I am always inspired by my parents’ accomplishments and ability to work towards significant goals." When I'm not designing buildings, you can find me ________ . "Playing keyboards with my band The Outervention." Ever since I was little, I always had the bug to draw and paint. I didn’t necessarily know where I was going with it, but I kind of had a knack for spatial awareness and geometry. In college, I studied interior design and furniture design. 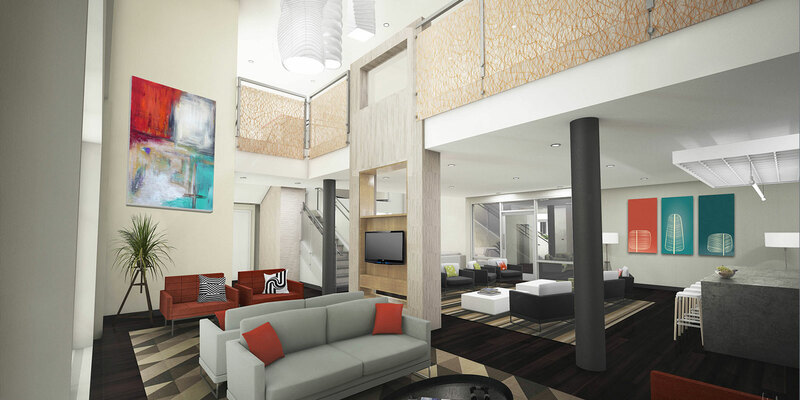 Eventually, I decided that with my interests combining interior design, furniture design – essentially all visual components – it made sense to go into 3D graphics and visualization. 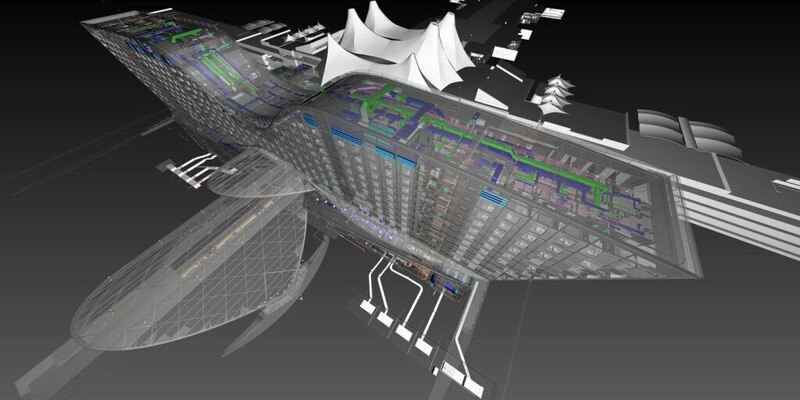 What do you like best about the work you do, and how does BIM help with that? Being able to work on my own schedule rather than during fixed hours is huge. Inspiration strikes at weird times: an idea that escapes me in the morning might hit me at 11 or 12 at night, and I can sit at my computer and crank out work and really get into “production mode”. Using BIM helped me find my professional focus long before this kind of 3D modeling software was very popular. We used Revit at my old architecture firm. It really breached the surface of what you could do with software and design. Having that base knowledge of drafting in 3D, it led into “well, look what else you can do.” That was much more appealing than doing drafting details. It was setting up visualizations for clients to really understand the project that they were asking us to design. 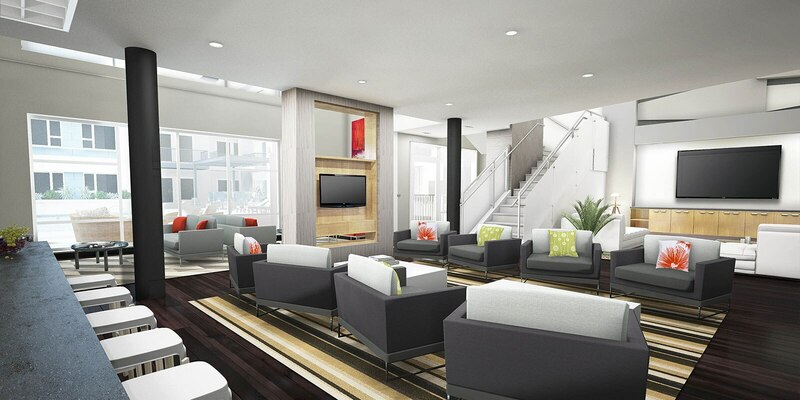 Also, conversations with clients are seamless because there’s no guessing as to what the space will really feel like. It’s not perfect, but it’s really, really close. I think that’s what the technological world is striving for is to bridge that gap between reality and virtual reality. So, it really helps the dialogue between the client, the designer, subcontractors; everyone gets to look at the same picture and understand it the same way. Sometimes you're working so much, that you don't fully appreciate what you've done until later. 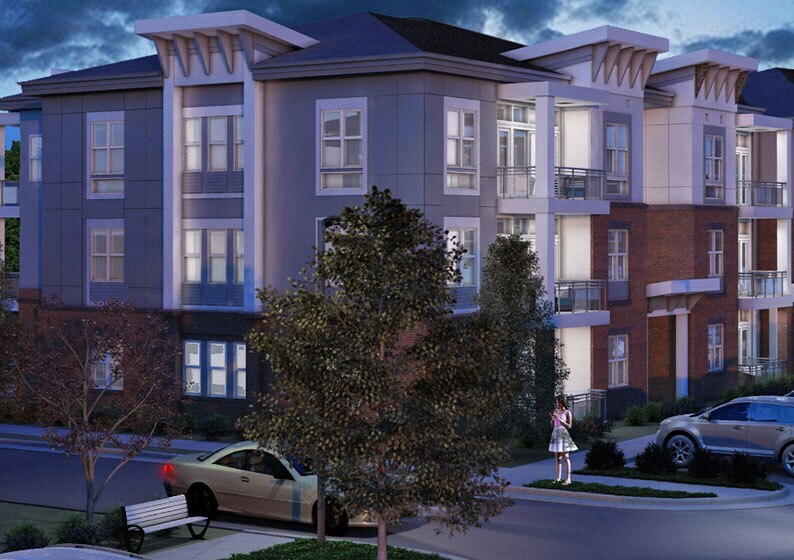 I think the project I'm most proud of was one condo project in Virginia Beach; it was very challenging to interpret their plans and bring it into a 3D representation. It wasn't until I looked back later on that that I realized: this is actually a really good example of my work, and I felt very proud that I got through it quickly and efficiently and everybody was happy. How do you stay inspired and keep your creative juices flowing? For creative inspiration, I think it’s a matter of having a strong enough passion for it. One way to keep inspiration alive is by being diverse. Being able to, say, work on the logo while maintaining in the back of my mind that I have to do the visualization next, then some of the floor plans and all the little parts in between. Being able to go back and forth, jumping off of one thing and going to another while staying creative with all aspects is really inspiring. It keeps inspiration alive. There’s never a dull moment. Have you won work because of your use of BIM? New business is mainly a word of mouth thing. At the end of the day, the way BIM helps is by increasing my ability to provide excellent work, so that other people can say “Hey, this guy does excellent work.” Or if prospective clients want to look at my website, they can see my work for themselves. To continue working with clients that are doing large projects and offering them the full package — from 3D design, to website design, to graphics —is already a dream job. It’s not just the variety of the work; it’s the knowledge that, at the end of the day, there’s this big collection of my work describing a project that’s going to house people and provide living spaces for a lot of different families. I think that’s pretty important and kind of special. I think the ultimate goal for a visualization artist is to create a piece of reality but also to tell a story and have it compelling enough to be read by many people and entertain not just the client, but to have anyone seeing an image, say, “wow, that’s really cool. I can see what’s going on there, and there’s a story behind it.